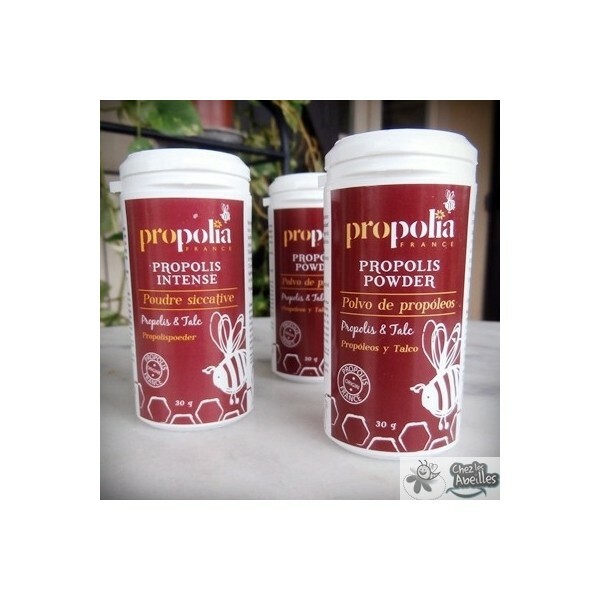 Specially developed and patented for perfect absorption of the active ingredient, this is super-absorbant Propolis Talcum Powder is designed to easily pass through the skin barrier and disperse indepth the therapeutic healing properties of Propolis. This "Siccative and Protective Powder" is a preparation of Pure Micronized Propolis which is used to heal abrasions, wounds and treat certain oozing eczema, varicose ulcers, and infant diaper rash. 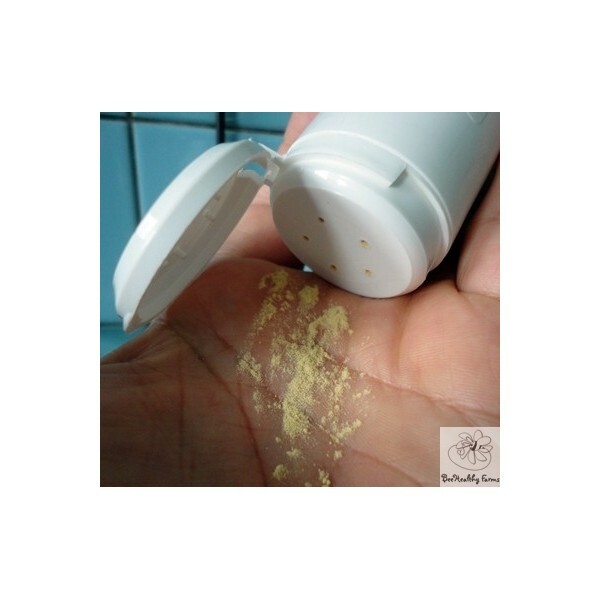 In internal use, the powder rapidly cleans the respiratory tract and relieves sinusitis. 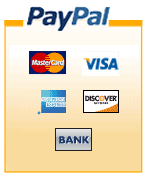 It's specially patented* for perfect absorption of the active ingredients in nasal mucous membranes and on skin. Microscopic particles have the ability to pass the skin barrier apply its numerous properties deeper. It is advisable to clean the damaged area with a calming oil and then cover with a thin layer of powder. A scab forms instantaneously and stops the bleeding, therefore the wound is protected from possible infection. It decongests quickly in the respiratory tract and relieves sinusitis. For fans of simple, natural products, it enhances the use of any toothpaste. *Purified Micronized Propolis (PPM 14 H) – Registered Patent. 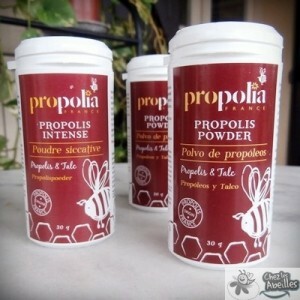 For more detailed information on Propolis, visit our blog.